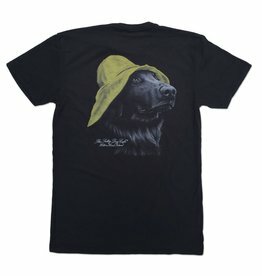 This nostalgic portrait of Jake I is printed on a supremely soft Tri-blend tee. 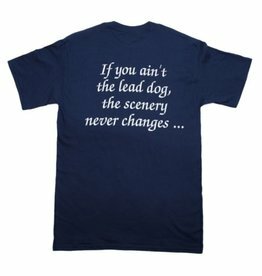 Fun fact: Jake I was commonly called Jed by his closest friends. 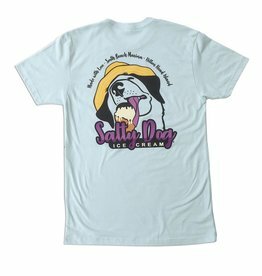 Our new Salty Dog Ice Cream shirts are printed on a supremely soft 60% Cotton, 40% Sueded Polyester tee. 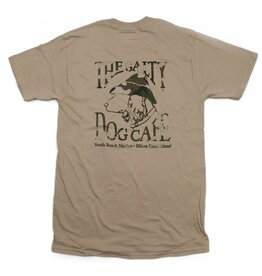 Fun fact: Our ice cream is made in house daily! 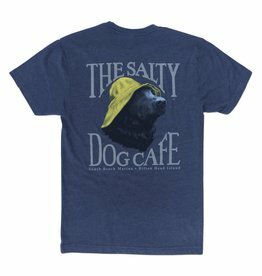 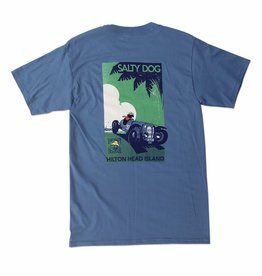 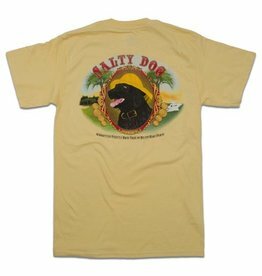 New to the Salty Dog collection, this is a unique design that has become a popular tee since hitting the shelves. 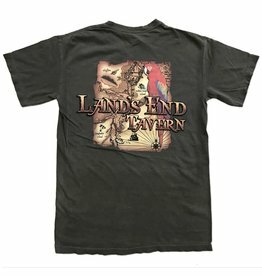 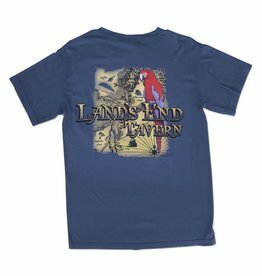 Our new Land's End logo will have you reminiscing about the beautiful marina views at Land's End Tavern. 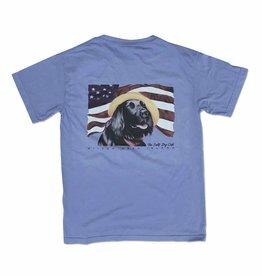 This stunning design is printed on a 100% cotton Comfort Colors tee. 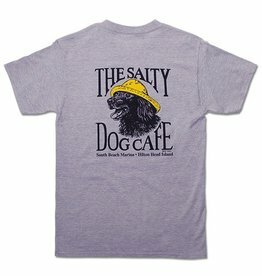 Jake captaining The Salty Dog with a Salty Dog Flag in the background. 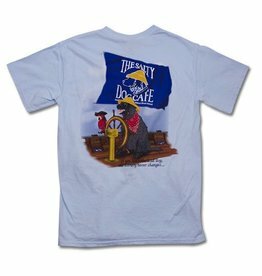 This design is printed on a 100% cotton Comfort Soft T-Shirt. 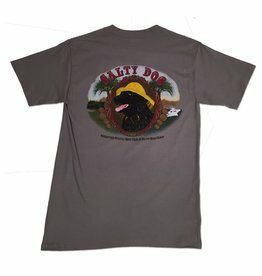 This unique logo contains a 3D picture of Jake with a picturesque scene of the lowcountry in the background. 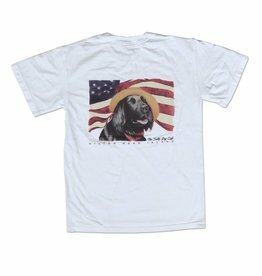 Printed on a 100% Cotton Hanes Beefy Short Sleeve Tee. 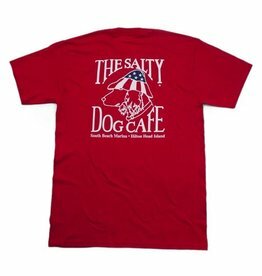 This Kelly Green 100% cotton long sleeve t-shirt has Jake wearing his red Santa hat and red Christmas collar. 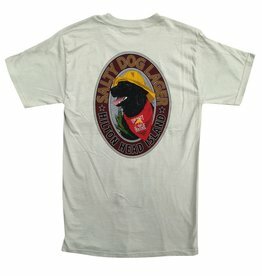 Small Salty Dog logo on front left chest. 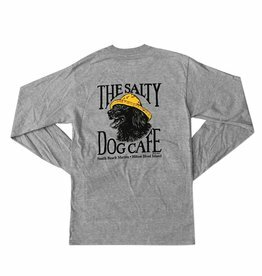 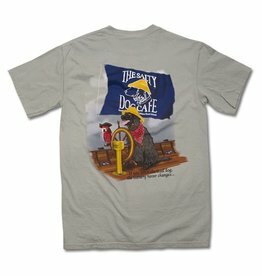 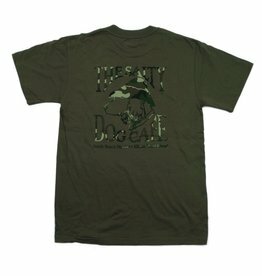 Show all of your friends that you are the lead dog with this one of a kind Salty Dog Hanes Beefy Tee. 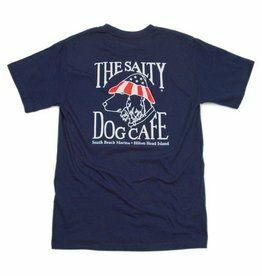 The famous Salty Dog Thanksgiving Tee. 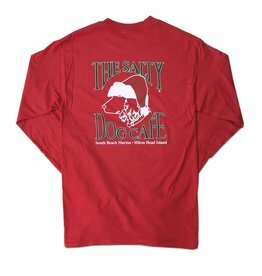 This Red 100% ring-spun cotton Hanes Beefy long sleeve t-shirt has Jake wearing his red Santa hat and Christmas collar. 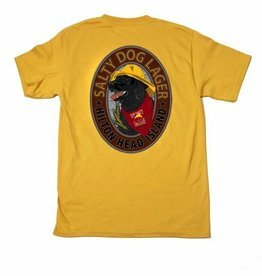 Small Salty Dog logo on front left chest.